With all this talk about beating the Big Winter Dry, it seems a good time to revisit a piece I wrote on Sorbolene a while back. Sorbolene is a common recommendation, for example in the context of applying a lotion after radiation therapy, or to address skin irritations. It’s a really basic product and one that almost everyone has heard about, which makes it a great starting point for learning about ingredients. Sorbolene is free of fragrance and colours, the two things most likely to cause skin irritation – so from a statistical perspective and the desire to eliminate the most common irritants, it could be argued as a reasonable recommendation. What else can we learn about Sorbolene from reading the ingredients label? We chose one bottle of Sorbolene at random – this provided a typical Sorbolene ingredients list without any particular surprise: Water, Cetearyl Alcohol; Glycerin, Mineral Oil; Petrolatum, Ceteth-20; Methylparaben, Propylparaben. Imidazolidinyl Urea; Tetrasodium EDTA and Disodium EDTA. First, note that the order in which the ingredients are listed typically reflects the quantity of an ingredient in that formulation, from greatest to least. The number one ingredient is Water. Water is good for you. Cetearyl Alcohol is fine too – it’s not an alcohol in the same sense as ethanol. lt’s gentle and useful to help combine the water-based and oil-based elements of a lotion. Glycerin can be tricky if you want to look for ethical standards, as there are several potential sources. lt used to be made from animal sources too but that’s rare now. The most common sources of glycerin these days are as a byproduct of the petrochemical industry, though some are plant-based. Mineral Oil and Petrolatum are two different names for almost the same chemical. Think Baby Oil, Petroleum Jelly and the various forms of Paraffin, which belong in the same group. There’s a massive clue in the names ‘Petrolatum’ and ‘Petroleum Jelly’. Specifically, the clue is: PETROL. These are petrochemicals. And sadly, they’re not even pure petrochemicals. Because a common problem with these petrochemicals is that they may be contaminated with Polycyclic Aromatic Hydrocarbons (PAHs), many of which are known carcinogens. Leaving that aside for a moment – think on these two facts. First, your skin is your body’s largest breathing organ. Second, these chemicals are occlusive, which means they tend to coat skin, inhibiting the movement of oxygen into the body and wastes out of the body. To coat your skin in these chemicals is akin to how smoking messes with your lungs. Gunk gets in the way. Still want to coat your skin in Mineral Oil and Petrolatum? Ceteth-20 is an emulsifier. Concerns about this chemical have been raised regarding neurotoxicity, organ system toxicity and irritation to the skin, eyes and lungs, though the main concern rests with a common contaminent. Ceteth-20 is ethoxylated, which means it is put through a chemical process with the toxic petrochemical ethylene dioxide, thus risking contamination by the known carcinogenic byproduct 1,4-dioxane. The presence of 1,4-dioxane in products is one reason for a Class Action happening in the US as we speak, against Johnson&Johnson, Procter & Gamble and Kimberly Clark. Methylparaben and Propylparaben are synthetic preservatives that are linked to cancer and hormone disruption. As they break down, they release formaldehyde, a known carcinogen. 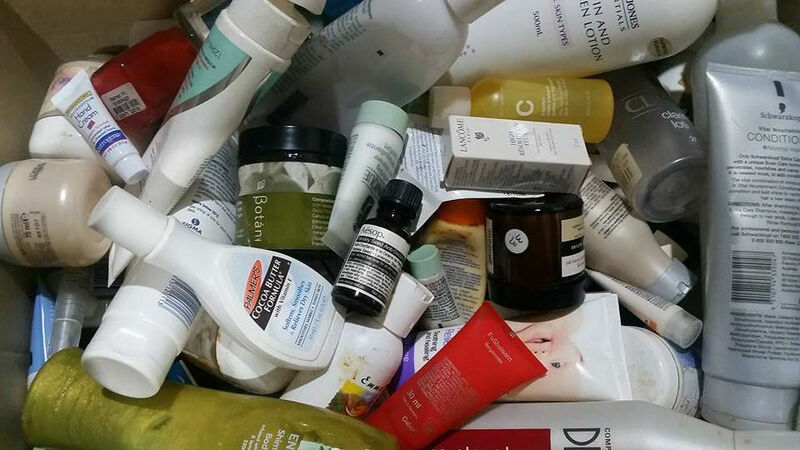 These preservatives were among the chemicals singled out by the French Minister for Health a few years ago, with a bill put before the French Parliament seeking to put warnings on the bottles of skincare and haircare in the same way that we have warnings on cigarette packets. The fact that a government considered such drastic action in an industry worth $15 billion to its economy each year is a clear indication that they perceive a looming issue. Governments wouldn’t mess with such an important and powerful industry on a whim. The preservative Imidazolidinyl Urea can be animal-derived but is more commonly a synthetic byproduct of the petrochemical industry. It raises concerns of allergies and immunotoxicity as well as formaldehyde contamination. Tetrasodium EDTA and Disodium EDTA are generally used to remove metal salts which can help make the lotion feel softer and can help make the final product whiter. Given that they have not specified their water ingredient as “purified” it may be that the manufacturing is happening in a place with hard water and they are using EDTA to remove the metals rather than go to the trouble of buying purified water. EDTA is also used to alter the surface of skin cells so that other chemicals are able to penetrate and more easily able to get into the skin. The most healthy ingredient is water. It’s likely that the water wasn’t purified, so EDTA was probably used to precipitate out the heavy metals to help ensure that the final product would be whiter and softer. One of the two emulsifiers is an ethoxylated skin irritant linked to neurotoxicity and organ system toxicity. There are two petrochemicals plus the likely petrochemically-sourced glycerin to coat skin, bringing with them exposure to potentially carcinogenic PAHs, 1,4-dioxane and various skin irritants. The occlusive nature of these ingredients clogs up the pores and inhibits the ‘breathing’ functions of the skin. There are three different chemicals to help preserve the product, that each have health concerns attached to them- with EDTA to help them penetrate the skin cells more effectively. The point of this exercise is not to make people scared of stuff. We’d like you to stop and think a moment. It’s not just about what you choose to avoid. It’s about what you choose to use. The very fact that so many companies peddle this stuff reeks of disrespect for their customers. Is this really the standard you want to accept for yourself and your loved ones? We’re not sure why anyone cover themselves in this goop when they can have beautiful products that are so healthy they could eat them. That aside, if you do choose to use this or other products containing these ingredients, that’s up to you, but choose it in the knowledge that this sends back a message that you don’t expect – or deserve – better from them. For those amongst us who do want better – keep an eye out for more on moisturisers soon! We’ll have info on several different moisturisers (from the box of products that we’ve collected over the years) as well as plenty about Y natural’s fabulous moisturisers. By the way, our outstanding Goddess promotion includes our outstanding 700 SOFT Hand & Body Lotion. So if you’re keen to try a lotion that genuinely helps your skin to become healthy and hydrated, now’s a great time to try! The Goddess pack also contains our 1000 RADICAL shampoo and 1100 RESPOND conditioner. For a review of shampoo ingredients much like what we’ve done here, check out this podcast on The Adelaide Show. The interview with Y natural starts at about the 19 minute mark. Our website also contains handy tips about ingredients to avoid.